You can use a policy or Jamf Remote to administer the management account. Change the account password—This option changes the management account's password, as well as the account's login keychain password and FileVault 2 password. It is recommended that you use this option if the management account's login keychain password matches the account password stored in Jamf Pro. Reset the account password—This option only changes the management account's password. This option does not change the management account's login keychain password or FileVault 2 password. Note: If the management account's login keychain password does not match the account password stored in Jamf Pro, you must use the Reset Account Password option when administering the management account using a policy or the policy will fail. 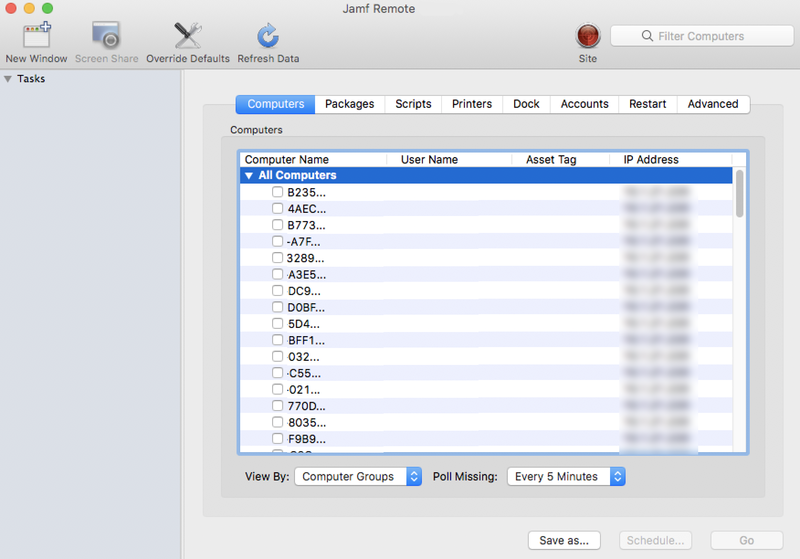 Using Jamf Remote to administer the management account allows you to reset the management account's password. 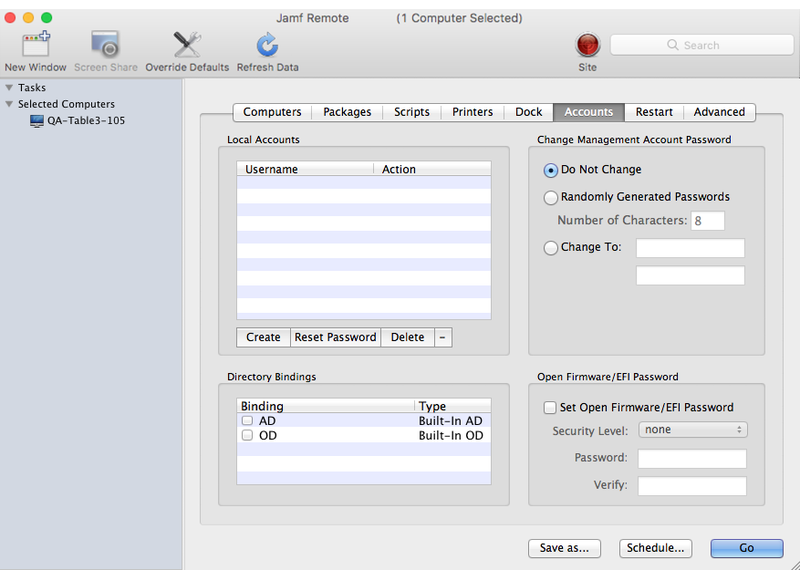 To enable the management account for FileVault 2, the computer must have macOS 10.9 or later and have an existing, valid individual recovery key that matches the recovery key stored in Jamf Pro. 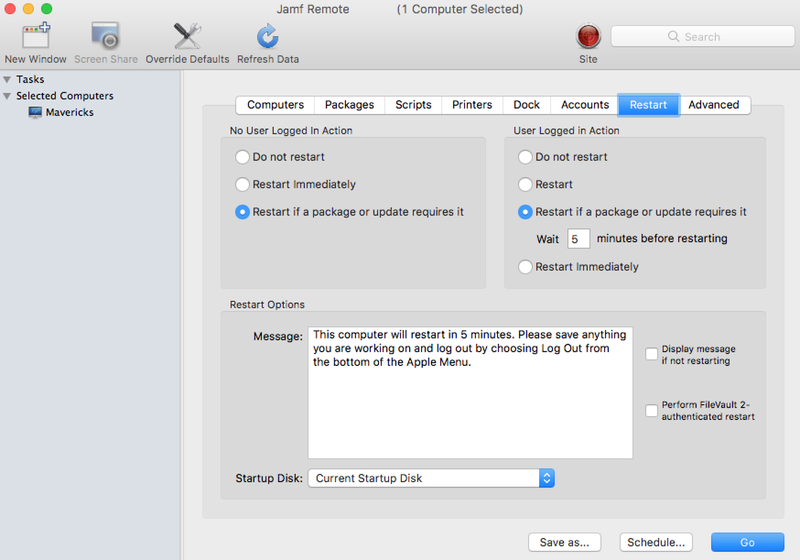 To disable the management account for FileVault 2, the computer must have macOS 10.9 or later. You can change or reset the management account password using a policy. You can also enable or disable the management account for FileVault 2. Select the Management Account payload and select an action using the options on the pane. Click Site and select a site. In the list of computers, select the checkbox for each computer on which you want to administer local accounts. To randomly generate new passwords, select Randomly Generated Passwords and enter the number of characters required. To specify a new password, select Change To and enter the new password.